When it comes to putting a new roof on your home or business, you want to feel confident in the materials that you’re choosing. Malarkey is known for being one of the leading roofing supplies provider, which is exactly why we use them. The Windsor XL ® Scotchgard™ is one of the options that we offer to our customers when it comes to new roofs. 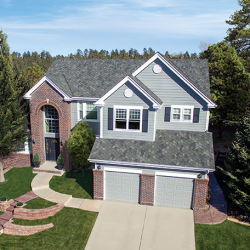 If you’re in the process of investing in a new roof, learn more about the benefits of this particular shingle line and why we choose to use it in our projects. The overall look of the Windsor XL ® Scotchgard™ is one of the primary reasons that we can’t help but love this shingle line. 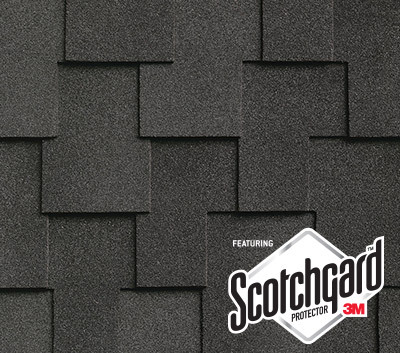 As a designer shingle, the Windsor XL ® Scotchgard™ elevates the appearance of your roof. Through multi-dimensional texture and engineered durability, it’s no wonder that this is such a popular roofing material. 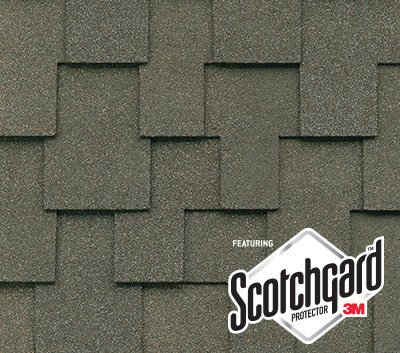 When you’re looking for a textured look to your roof, the Windsor XL® Scotchgard™ Shingle is always going to come through. Aside from providing your home with a beautiful roof, these shingles are designed to be durable and make it through even the worst weather conditions. Keep reading for a few of the benefits you’ll enjoy when you select this shingle for your roof. This designer shingle is 20 percent thicker than the standard Windsor® shingle line. There is also a 17 percent increase in the overall mass of the Windsor XL® shingle line. 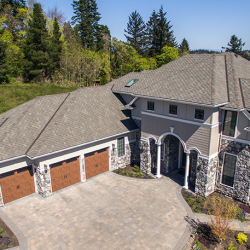 The Windsor XL® Scotchgard™ Shingle is made with the NEX ™ Polymer Modified Asphalt which means that you can enjoy a durable shingle with increased flexibility. All of this ensures your shingles have the flexibility needed to handle the worst weather scenarios. 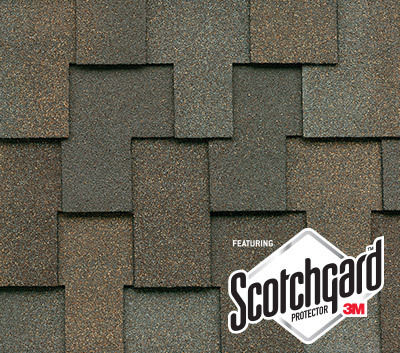 The Scotchgard™ Protector that the Windsor XL® Scotchgard™ shingle line uses ensures that there are no algae streaks. 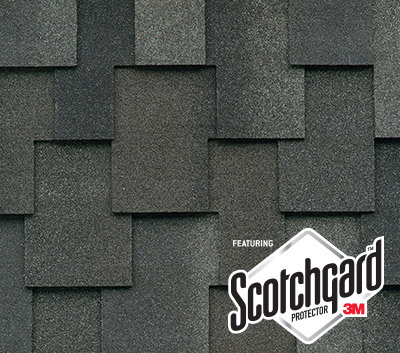 Given that this is such a beautiful shingle, the fact that it has the Scotchgard™ protector ensures that your roof continues to look great for years to come. While the tiles are beautiful, they are also durable. 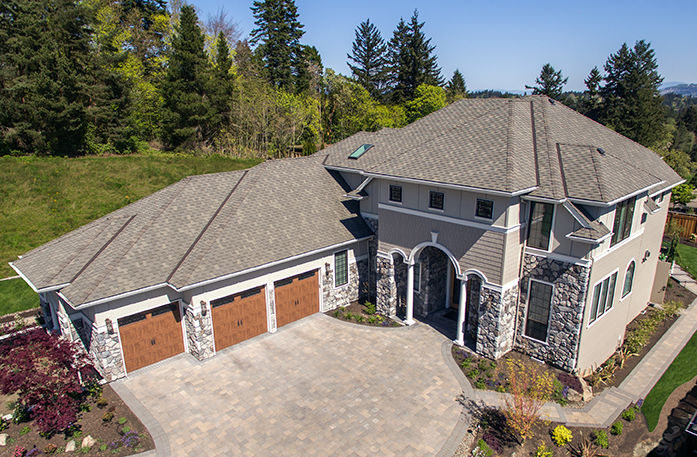 The Windsor XL® Scotchgard™ shingles offer class 4 impact resistance. This is the highest level of protection that you can enjoy in roofing shingles. These beautiful and durable shingles are protected with a couple of different wind warranties. With as beautiful as these shingles are, you want to make sure that they continue to look good. The color granules used in these shingles protect the beautiful color from sun and weathering. The specially formulated asphalt sealant used for these shingles ensures that they remain in place even when the highest winds come through. All of the Malarkey Roofing shingles made with NEX™ polymer modified asphalt are immediately more resistant to any tearing or nail tear-out. The Windsor XL® Scotchgard™ shingle is larger than the standard Windsor® shingle, contributing even more mass to the overall strength of the shingle. Though these shingles are larger than some of the typical shingles we offer, they are still flexible to a wide range of weather conditions. That means that you can count on these shingles to be the ideal fit for your home in both the hot and cold days that Colorado has. If you’re interested in getting a free estimate on your roofing needs or you’d like to know more about the Windsor XL® Scotchgard™ shingle, feel free to contact us. 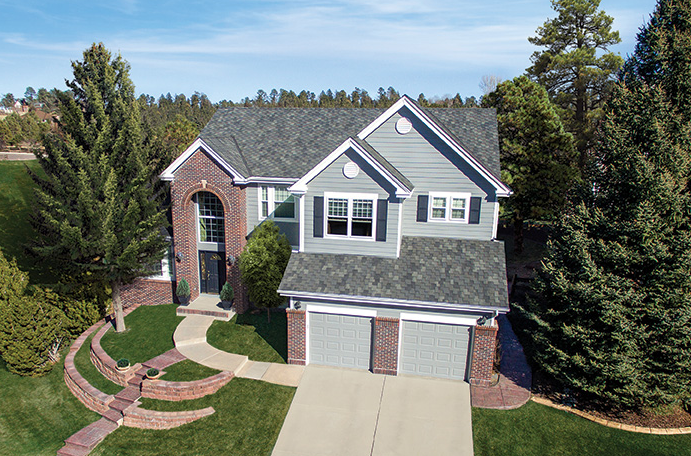 We are dedicated to providing Colorado with the high-quality roofs that they need. That’s why we offer materials that are durable and a knowledgeable team. Let us know if there is any way that we can help.